You are booking with a Golf Tournament Expert, Golf Holidays arranged by Golfers. Flights with the UK's largest airline with options to upgrade to Premium, Business or First Class. As one of the first events of the calendar year, the Farmers Insurance Open is one of the standout events on the PGA Tour. Every January a packed field head to Torrey Pines in California looking to make a strong start to the year ahead, while many enjoy playing as part of the ‘West Coast Swing’ which also includes the CareerBuilder Challenge and Phoenix Open. The West Coast is packed with championship courses that you can play, so head to the brilliant Torrey Pines for the Farmers Insurance Open to see Tiger Woods and other PGA Tour regulars in action and make time for some golf of your own too. .
To plan your perfect Golf Holiday, speak to our dedicated Tournament Specialists now. Like the majority of tournaments on both the European and PGA Tour, the Farmers Insurance Open benefits from commercial sponsorship but to some older fans, it may be remembered as the Buick Invitational. The tournament is played in a standard match play format over four days with a cut after the second round. In recent years winners have included Jason Day, after an epic six hole playoff against Alex Noren in 2017 and Jon Rahm the year previous. However it’s Tiger Woods who has seen the most success at the tournament with seven victories. Having hosted the Farmers Insurance Open since 1968, Torrey Pines is no stranger to prestigious golfing events and in 2008, it put on a hugely dramatic US Open which saw Tiger Woods win his last major tournament. The month of January is a fantastic time to visit California, which is approaching the end of the warmest half of the year. The average temperature for San Diego in California is 23 C, with potential highs of 28 C, definitely warm enough to get the shorts on. 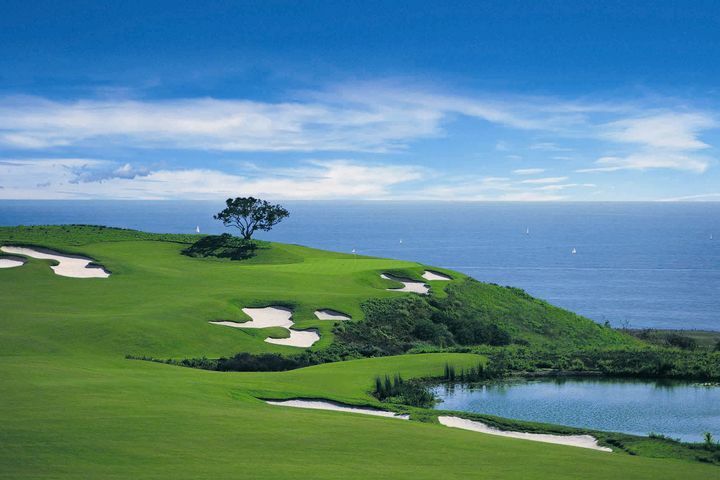 The closest airport to Torrey Pines is San Diego International Airport which is just 20 minutes away. A taxi from the airport to East Lake will cost around $40. There are daily flights to San Diego from London flying with either Virgin Atlantic, British Airways, American Airlines or Delta Airlines. Wed, 22/01/2020 at 8:00 a.m. Wed, 22/01/2020 at 7:00 p.m.
Thu, 23/01/2020 at 8:00 a.m.
Thu, 23/01/2020 at 7:00 p.m.
Fri, 24/01/2020 at 8:00 a.m.
Fri, 24/01/2020 at 7:00 p.m. Sat, 25/01/2020 at 8:00 a.m. 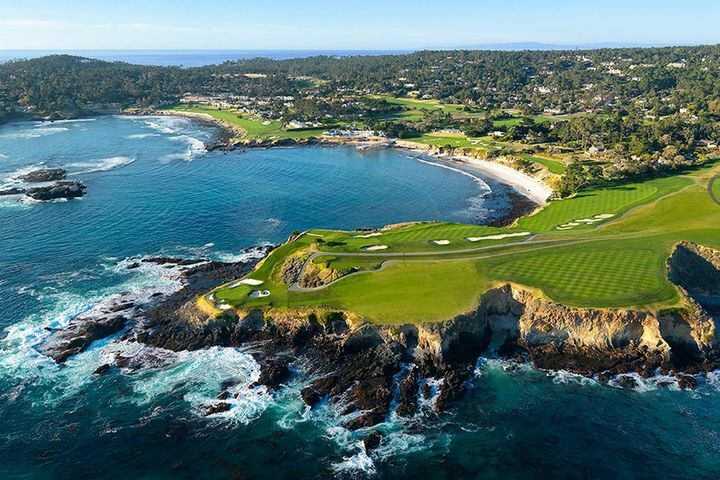 Sat, 25/01/2020 at 7:00 p.m.
Sun, 26/01/2020 at 8:00 a.m.
Sun, 26/01/2020 at 7:00 p.m.
Pebble Beach is the ultimate once-in-a-lifetime golf course, perched on the cliff tops overlooking the Pacific Ocean. The views are simply incredible, you may even catch a glimpse of whales. The approaches to the small well protected greens are the key to scoring well here while trying to ignore the beauty of the Monterey Peninsula. Pelican Hill was ranked as the number one Californian resort in Conde Nast Traveller's April 2011 edition and when you experience the Championship layout of the Ocean North course you can see why. The course offers spectacular views of the ocean from every tee which helps to make a round here just that little bit more magical. 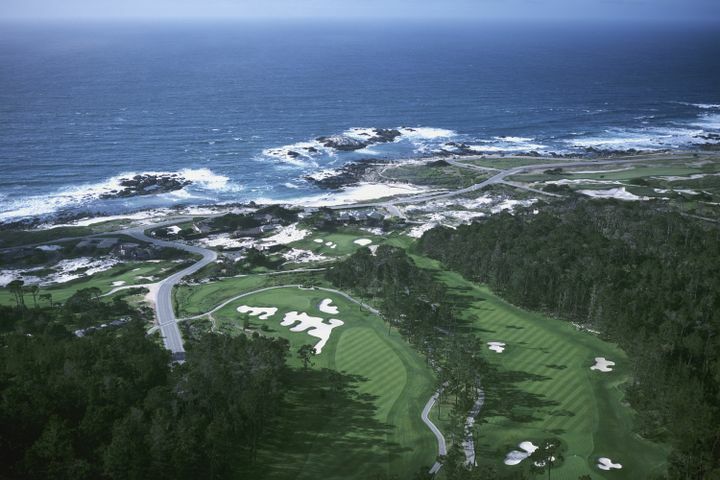 Spyglass Hill is part of the phenomenal grouping of courses to span the Monterey Peninsula that demands plenty from the golfer, thanks in large part to Trent Jones' incredible design and the unrelenting coastal winds that sweep in from the Pacific. You will find that it is no easy ride negotiating the tight, tree-lined fairways, doglegs and water hazards that require accuracy and precision throughout your round. 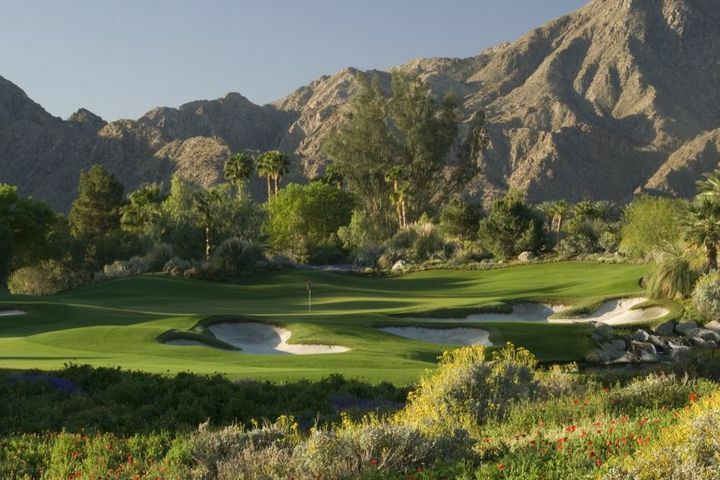 At a whopping 7,050 yards from the back tees the Celebrity Course at Indian Wells is a stern test for even the longest hitters. Fear not if your driving is a little short as multiple tee positions reduce that yardage down to 5,316 which makes the course playable for a great range of golfing abilities. The superb layout contains undulating fairways with streams, brooks and split level lakes making sure precision is key to scoring well while taking in the stunning views of the surrounding landscape.